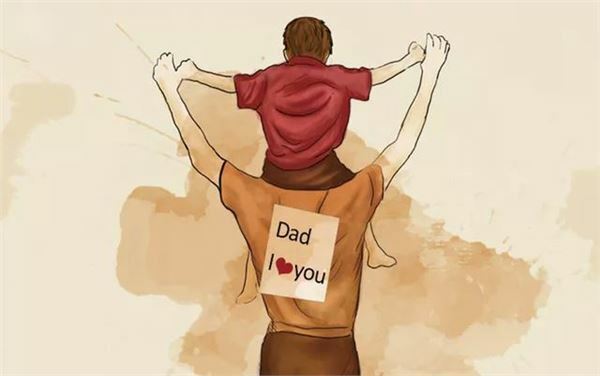 Every person has a father , and everyone thinks that his/her father is the best father in the world , so do I. My father is of middle height . He has big eyes , the same as me . He has short hair , looking more gently . I believe my father is a talented man . He is decisive and efficient in doing things .By his own talents and efforts , he has secured for the family a good social position and a comparatively rich life . He usually educates me that the person must to be honest , friendly to other ,and working diligently. This is my father . I Love him forever ! My father I think my father is a kind man, he love help people, and always forget to do something for himself. He has a good sence of humor, yes, I like that. That always make us happy. I think he is a friend of mine. Because he always talk with me. I often feel I am not his daughter but his friend. I think that my father is a good father and also a good worker. He works very hard. So he can’t play with me or my mum for long time. He think work will make him happy because work has many funny. So he always teaches me: don’t think work is a hard thing. My father has many hobby. For example, he like reading, and he also like play computer game. He use his hobby to realx. He can feel very happy if he work, and also play. He is a good man, isn’t he? I have several close relatives who have been in the military during war time. My father and uncle were in World War II, and two brothers and a sister served in Vietnam. While I was extremely uneasy about leaving my family to serve my country in a war zone, I knew it was what I had to do. I prayed that this would make my father proud of me. My father is very involved in the Veterans of Foreign Wars organization and has always been for a strong military. I was not eligible to join the Veterans of Foreign Wars because I had not been in a war zone—a fact that always made me feel like I didn’t measure up in my father’s eyes. But now here I was, his youngest son, being shipped off to a foreign land 9,000 miles away, to fight a war in a country we had barely heard of before. On November 17, 1990, our convoy of military vehicles rolled out of rural Greenville, Michigan. The streets were filled with families and well-wishers to see us off. As we approached the edge of town, I looked out the window of my truck and saw my wife, Kim, my children, and Mom and Dad. They were all waving and crying, except for my father. He just stood there, almost like a stone statue. He looked incredibly old at that moment. I don’t know why, he just did. I was gone for that Thanksgiving and missed our family’s dinner. There was always a crowd, with two of my sisters, their husbands and children, plus my wife and our family. It disturbed me greatly that I couldn’t be there. A few days after Thanksgiving I was able to call my wife, and she told me something that has made me look at my father in a different way ever since. Eight months later, when I returned home from the war, I ran over and hugged my wife and children in a flurry of tears. When I came to my father, I embraced him and gave him a huge hug. He whispered in my ear, “I’m very proud of you, Son, and I love you.” I looked that man, my dad, straight in the eyes as I held his head between my hands and I said, “I love you too, Dad,” and we embraced again. And then together, both of us cried. Ever since that day, my relationship with my father has never been the same. We have had many deep conversations. I learned that he’s always been proud of me, and he’s not afraid to say “I love you” anymore. Neither am I. I’m just sorry it took 29 years and a war to find it out. When I was five, my biological father committed suicide. It left me feeling as though I'd done something wrong; that if I had been better somehow, maybe he'd have stayed around. My mother remarried shortly thereafter, and this man was my dad until I was nineteen. I called him Dad and used his name all through school. But, when he and my mother divorced, he just walked away. Once again, I wondered what was wrong with me that I couldn't keep a father. Mother remarried again, and Bob was a wonderful, kind man. I was twenty now and no longer living at home, but I felt a great love and attachment for him. A few years later my mother was diagnosed with cancer and was not given long to live. Shortly before she died, Bob came over to my house alone one day. We talked about a lot of things, and then he told me that he wanted me to know that he'd always be there for me, even after Mother was gone. Then he asked if he could adopt me. I could hardly believe my ears. Tears streamed down my face. He wanted me - me! This man had no obligation to me, but he was reaching out from his heart, and I accepted. During the adoption proceedings, the judge commented on all the undesirable duties of his profession and then with a tear in his eye, thanked us for brightening his day as he pronounced us father and daughter. I was twenty-five, but I was his little girl. Three short years later, Bob, too, was diagnosed with cancer and was gone within the year. At first I was hurt and angry at God for taking this father away too. But eventually the love and acceptance that I felt from Dad came through again, and I became, once more, grateful for the years we had. On Father's Day I always reflect on what I've learned about fatherhood. I've learned that it is not dependent on biology or even on raising a child. Fatherhood is a matter of the heart. Bob's gift from the heart will warm my soul for eternity.